Have you ever received a letter in the mail from a store, service or bank that warned you that their security measures had been breached but they are sure that your information remained safe and secure? Did you take their word for it? Or maybe you did a cursory search of your credit or debit card statement immediately after receiving it just to make sure there were no unnecessary chargers. Checking for charges is good, but setting up a credit fraud alert may be even better, if not safer. What is a credit fraud alert? 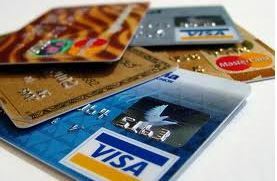 A credit fraud alert can be set initially for 90 days. By providing a telephone number, during that time whenever someone tries to open a new account in your name or extend the credit limit to existing accounts you will be contacted. Don’t worry though, because you can put a code on the account which will lift the alert for legitimate requests that you, a business or a bank is making on your behalf. Extended alerts as well as alerts specifically designed for active duty military. Extended alerts are recommended in the event that you have been a victim of identity theft or fraud. Those may last up to 7 years. You may also request an additional free credit report when placing an alert on your credit, with access to one free for the 90 alerts and two free available to you for the extended alerts. Although they are crafted to last for 90 days to 7 years, you can modify or lift your alert prior to the scheduled end date. incorrect factual information such as your Social Security Number, names, address or employer. Just one call is supposed to place the alert with all three agencies, but you may want to make all three calls yourself just to make sure. Equifax shares that the alert is “generally” placed on all three accounts within approximately 48 hours. What’s the difference between a credit freeze and a credit alert? A freeze generally stops all access to the report, while an alert still permits creditors to access it. Some states charge a fee for placing a credit freeze or removing it, while fraud alerts are free. Lastly, the availability to create a credit freeze on your account varies from state to state. After the credit alert is placed be sure to keep copies of all your correspondence and information as well as mark your calendar for the lifting, modifying, extension or end of the credit alert. However, an alert doesn’t solve all the problems of a security breach. If you know that an alert lasts 90 days, then you can bet identity thieves do too and they may not use the information during that period of time. An extended alert is only available if you have proof of identity theft or fraud – sort of like closing the gate after the dog ran free. This is one time that a credit monitoring service comes in handy as it will notify you of changes to your credit report as they happen.